Since the Bath Clubhouse was built in 1954, many pieces of memorabilia have been displayed or stored there without being recorded or catalogued. In the Centenary Year of 1965 a small booklet was produced to capture many of the major events and characters associated with the Club during its first 100 years. 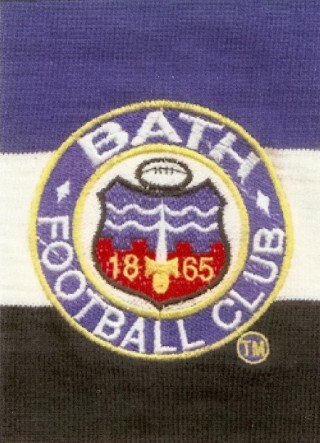 In creating the books “Before the Lemons” and “After the Lemons” Peter Hall, Colin Gale and Kevin Coughlan captured much of the history of the Bath Club from it’s inception in 1865 up to the introduction of professionalism in 1996. The information was gleaned from many years of research into the Club, its history and the memorabilia which was available. Harry Barstow produced a book in 2015 entitled “Bath the Enigma” which puts more depth into the history of the Bath Club and it’s evolution. However, the distribution of the publications was to be extremely limited and would not reach the rugby world available through the electronic media. In May 2012 it was conceded that the Past Players website included much of the Bath Rugby Heritage, even though it was set up for Past Player reference only. Some of the material had been used to create the Rugby Old Times magazine issues of recent years. In due course the Past Players website would be closed down and relevant data transferred to the new Bath Rugby Heritage website. In January 2013 the first Project Meeting was held at Farleigh House. The Project was defined, rules agreed and working practices discussed. Three key areas were identified – preservation and cataloguing of the memorabilia, creation of a Bath Rugby Heritage website and the display requirements for the proposed new Arena on the Recreation Ground. On 12th March 2013 the Project team visited Gloucester Rugby Heritage to understand how they had approached their Project and learn about the pros and cons of such a Project. It was decided to collect data and images against “decades” to make it easier to understand the level of information that was available. The task began with identifying areas of most interest to the general public and slotting as much data as possible into these areas or categories. A 2 day training session was held in May 2014 so that “managers” of the website could be established and educated in the ways of website construction. With training complete it was all hands to the pump to start adapting the website to our needs and loading information.